We had our annual BBQ at the North Olmsted Community Park. 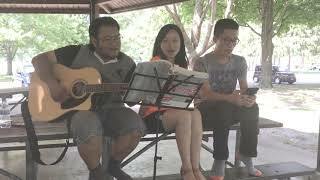 Enjoying the good weather and food, we took out our guitar and jam along to some old songs. Do you recognize any of them?